Hey everyone, just wanted to give a shout out to all my werewolf loving readers (and anyone else who’s dropped in, of course!). 2012 will be bringing a planned novel length sequel to Legacy, where we’ll get to find out more about the ancient world of the Vargr. Are Marissa and Antoine going to stay together? And does anyone think that a tough old vet like Mike is really going to shrug when the girl he loves disappears in the middle of the night? Stay tuned! 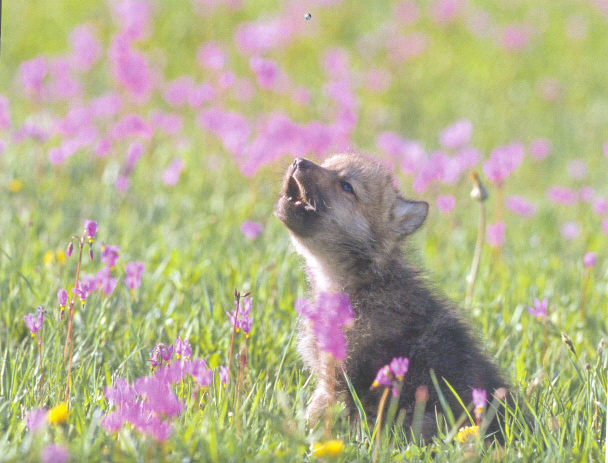 But in the meantime, let’s start the year off with a wolf puppy. Everything is better with puppies.